The ER 400 - a roll lifter that can be customized according to customer needs. 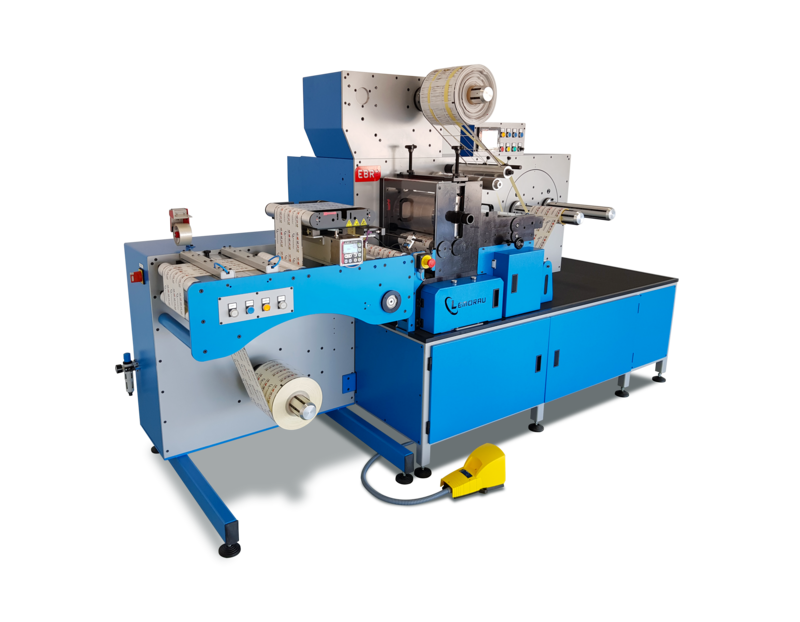 The LEMORAU CTA 1500 - an automatic core cutter that is very user-friendly, with core positioning by servo motor, core edge trim function, automatic core length measurement and can cut up to 40 cut/min. Lemorau is also exhibiting their latest development - the LEMORAU MEBR+ - a digital finishing machine built in a modular concept. These modules can be added over the years as clients find it necessary to add other solutions without much cost. MEBR+ can run in full rotary and semi-rotary mode. In full rotary it can run up to 120m/min, and at the end of 2018, a new optional speed pack was developed for semi-rotary mode that can run up to 80 m/min.